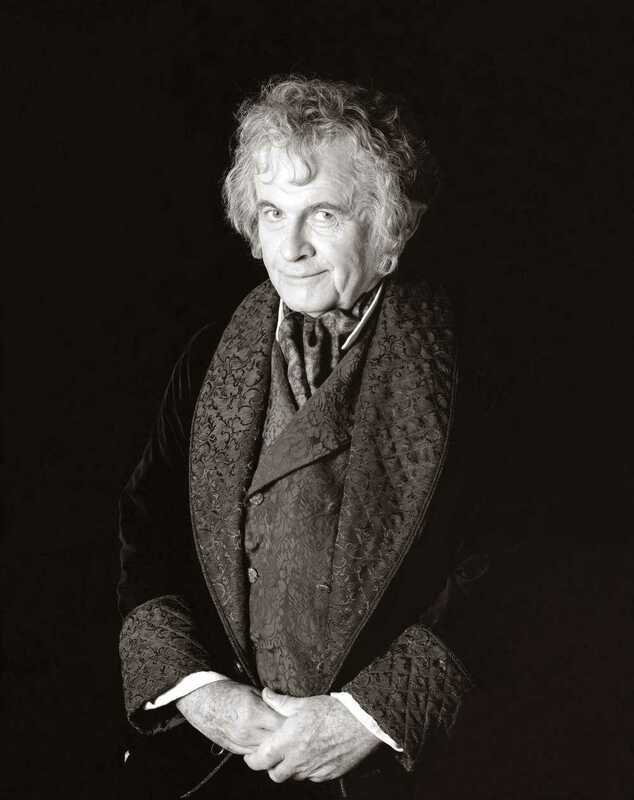 From Knight and Commander of the British Empire in the real world to a simple hobbit of Bag End, Sir Ian Holm has had a remarkable and distinguished career in the performing arts. Life was interesting for Holm from the start, being born at a mental asylum where his father was both a doctor and superintendent. A notable experience for Holm was seeing “Les Miserables” at the age of eight. Another profound experience for Holm and his family was the untimely loss of his brother Eric in 1944. After primary and secondary school, Holm attended the Royal Academy of Dramatic Actors. A stint in the National Service followed, then in 1954 he was hired on by the Royal Shakespeare Company at Stratford-On-Avon. Here Holm had his first stage appearance in the opera “Othello” as a Spear Carrier. Throughout the fifties and sixties Holm continued working on stage in England as well as the United States. Finally in 1968, Holm’s first appearance in film garnered him the BAFTA award for best supporting actor in the movie “The Bofer’s Gun”. Throughout his film career Holm has received numerous awards, nominations, and honors, including a British knighthood, the Canadian Genie Award and the Oliver Award for best actor, and both an Emmy and Academy Award nomination.